– my Tomatox mask from Tony Moly (here): magic mask I would say or maybe it’s just the packaging that got me to buy it … I would say both. Helps you brightening your skin and doesn’t smell like tomato if you were wondering. – my nail polish and body fragrance from Daiso: because it’s perfect, usefull and cheap (100¥). Best place to buy cheap and good quality make up or everything in fact 🙂 Don’t forget to check it out, it will be youe wallet’s best friend. What’s your best overseas make up ? I love Etude! I have the blush and I love it. 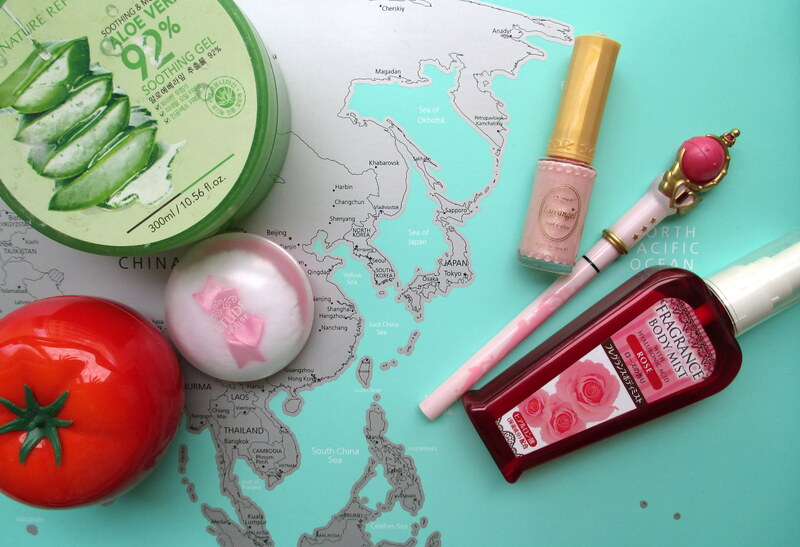 I can’t wait to go to Korea and be able to get lots of different brands.